Lots of miles to cover today. We departed early—about 5:30—so we could make it to Sergius Narrows for slack water at 9:00. Traffic was light as I navigated through narrow Neva Strait and Olga Strait. We arrived at Sergius Narrows about 30 minutes early and transited with a nice boost from the current. After many uneventful hours we made it into a very calm Chatham Strait. 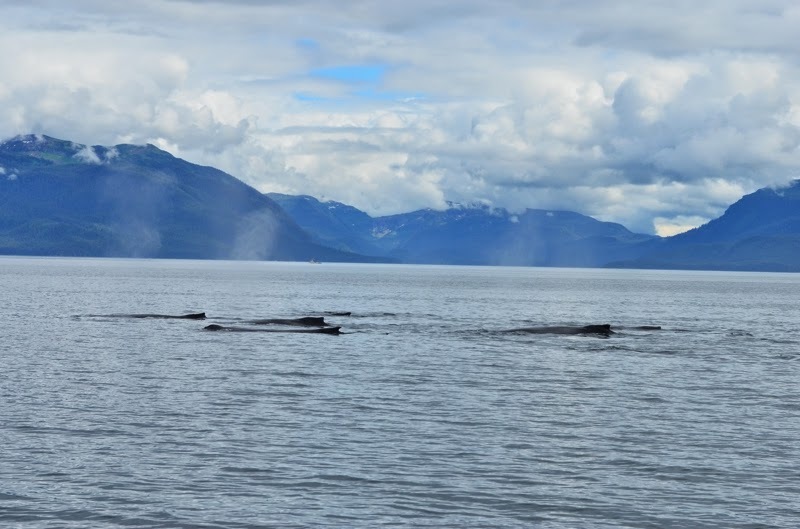 Humpback whales were all around, and we enjoyed watching various groups of them. One group of perhaps six put on a great show, surfacing fewer than 100 feet from the boat. They typically dove deep in unison. As we approached Ell Cove the water came alive. Salmon, headed for Hidden Falls Hatchery, were jumping everywhere. Then, not far off, I spotted a small group. We watched them for a bit, then made our way into Ell Cove and dropped the hook. At least five of them. 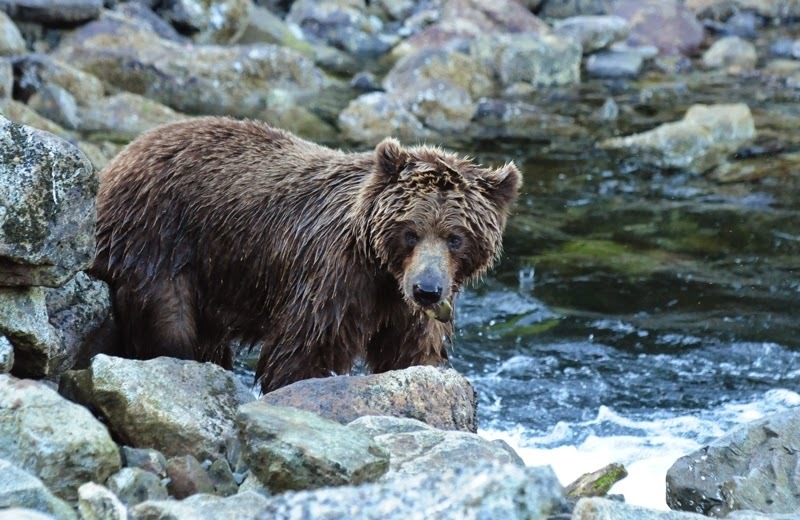 With the salmon running we hoped to see some bears at the hatchery. Soon after arriving we piled into the dinghy and set off. After watching for half an hour with no bears in sight, we hiked up to the lake. When we got back down, there were still no bears, so we headed back to the boat for dinner. After dinner we went back to the hatchery and were well rewarded for our persistence. A lone bear fished in the creek, then a few more. Then, not 50 feet away, a sow and three cubs emerged. 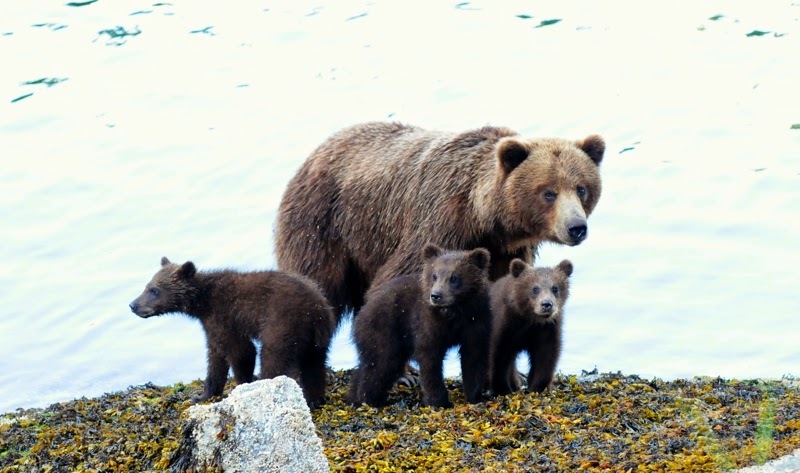 The cubs played while mom fished. 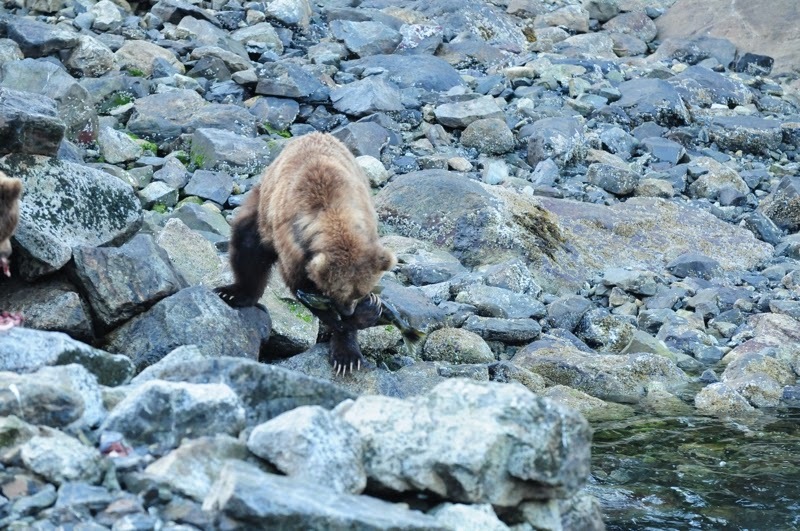 She ate several fish by herself, then caught one more and took it to her cubs. And quickly devoured it, and several more. 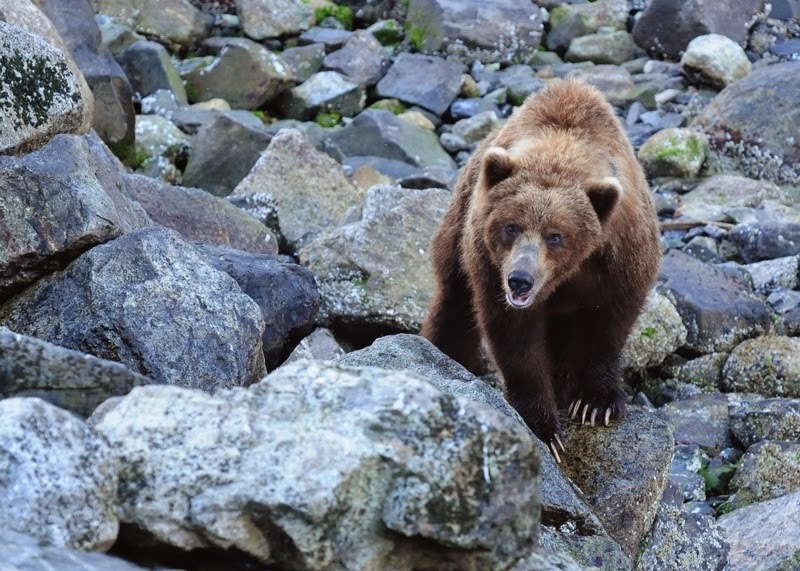 Humpbacks, orcas, and brown bears. Not a bad first day in Alaska!